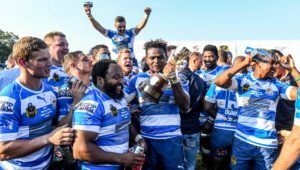 The fixtures for the sixth edition of the Gold Cup — SA Rugby’s flagship national championship for non-university clubs — have been confirmed. Eight matches, as part of a new-look 16-team format, will kick off on 9 March. This year’s event will revert to the pre-season time-slot that was a feature of the first three editions from 2013-2015. 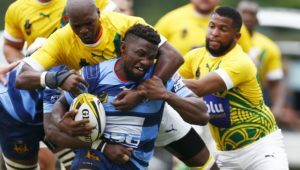 A leaner six-week format is expected place a greater emphasis on strength versus strength, while the recent success of the past weekend’s ‘SuperHero Sunday’ event at Cape Town Stadium will be replicated at grassroots level with a number of double-header match days planned. 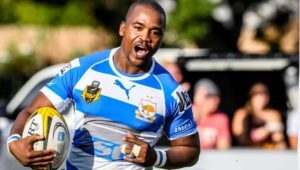 With defending champions False Bay having failed to qualify after a semi-final loss to Durbanville-Bellville in the 2018 Western Province Super League, the 2019 Gold Cup will see a new champion crowned and looks set to be the most closely fought edition in years. KZN champions College Rovers – finalists in 2013 and 2017 – will start the tournament as one of the favourites, while the presence of 2014 and 2016 Cup winners Rustenburg Impala (Leopards), 2015 champions Durbanville-Bellville (WP) and 2014 runners-up Roodepoort (Golden Lions), among others, will ensure arguably the strongest field yet. Boland champions Villagers Worcester, established in 1883 and celebrating their 136th anniversary this year, have the honour of being the oldest club in this year’s Gold Cup. 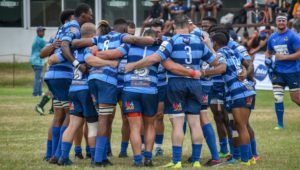 They will get their campaign under way at their Boland Park fortress against the Platinum Rhinos, the Limpopo mining club celebrating their 25th anniversary this year. ‘Club rugby is a national treasure and it’s a testament to everyone involved at this level of the game, from dedicated administrators and players to die-hard fans and loyal sponsors, that it remains vibrant and relevant despite ongoing challenges,’ said SA Rugby CEO Jurie Roux. The seedings for the four pools are based, among other things, on final positions in the last Gold Cup. The top two teams from each pool will progress to the quarter-finals on the weekend of 30 March, with the remaining eight teams eliminated. Round one – 9 March: George vs Durbanville-Bellville, Villagers Worcester vs Platinum Rhinos, Gardens vs Secunda, College Rovers vs East Rand United, Naka Bulls vs Sishen, Welkom vs Bloemfontein Police, Roodepoort vs Impala, Springs v Swallows. Round two – 16 March: Durbanville-Bellville vs Rhinos, George vs Villagers Worcester, East Rand United vs Secunda, Gardens vs College Rovers, Sishen vs Bloemfontein Police, Naka Bulls vs Welkom, Impala vs Swallows, Roodepoort vs Springs. Round three – 23 March: Villagers Worcester vs Durbanville-Bellville, Rhinos vs George, Secunda vs College Rovers, East Rand United vs Gardens, Welkom vs Sishen, Bloemfontein Police vs Naka Bulls, Springs v Impala, Swallows vs Roodepoort. Quarter-finals – 30-31 March: Winner pool C vs runner-up Pool D, winner pool B vs runner-up pool A, winner pool D vs runner-up pool C, winner pool A vs runner-up pool B.
Semi-finals – 6-7 April: Winner quarter-final 1 vs winner quarter-final 2, winner quarter-final 3 v winner quarter-final 4. Final and third-fourth playoff – 13-14 April: Winner semi-final 1 vs winner semi-final 2.